Finished In Metallic Long Beach Blue Paint With Full Black Dakota Leather Upholstery And Blue Contrast Stitching M Embossed Seat. Only 5,000 Miles With A Full and Comprehensive BMW Service History Inc Running In Service. 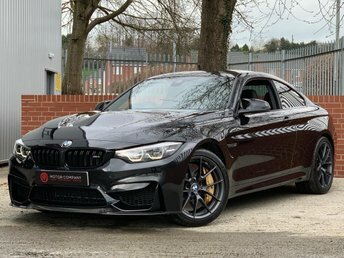 A Very Desirable Specification Which Includes: Harmon Kardon Logic Sound System, BMW Adaptive LED Headlights With High Beam Assist, M DCT Gearbox, 19' M Double Spoke Alloys With Black, Sun Protection Package, Folding And Dimming External Mirrors, DAB Digital Radio, Park Distance Control, Cruise Control. 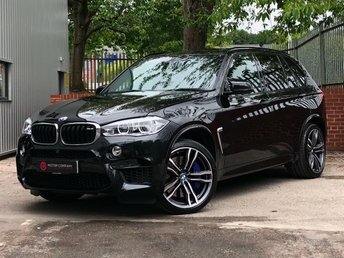 An Outstanding Example Of A Fantastic Vehicle Please Contact Us For More Info, 1 owner, 4 seats, FREE NATIONWIDE DELIVERY - 5.4% APR FINANCE AVAILABLE - 12 MONTHS WARRANTY!! !